It's a slippery slope to the Switch sequel's official release date. 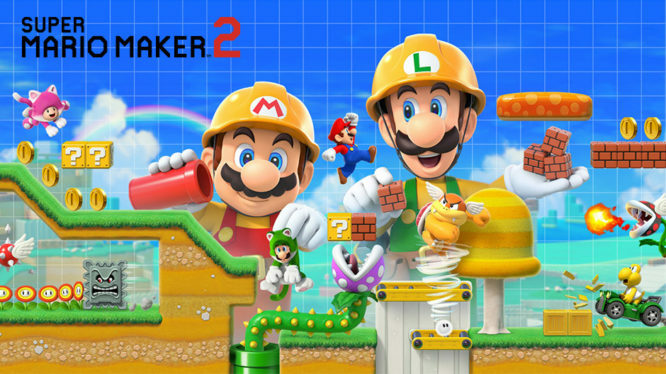 Super Mario Maker 2 might be launching for Nintendo Switch in mid-June, if Amazon UK’s product details are anything to go by. The upcoming Nintendo Switch title was officially announced back in February with a fairly loose “June 2019” release window. Mario Maker fans may have been given some additional insight into an actual release date of the upcoming Nintendo Switch sequel. According to details listed on the Amazon UK Super Mario Maker 2 product pre-order page, the online retail giant is expecting stock to arrive on June 12th 2019. Additionally, once the game has entered the checkout process, Amazon appears to be offering their Prime members an Expedited delivery date of June 13th and a standard delivery option arriving June 14th. The recent Amazon listing seems to contradict past retailer listings of Super Mario Maker 2, which previously suggested that upcoming Switch title could be hitting shelves on June 28th 2019. While Amazon release dates may hold a little bit more weight than other retailers, it’s still best to take them with a pinch of salt until Nintendo makes an official announcement. Hopefully they're not just mario makering this up.